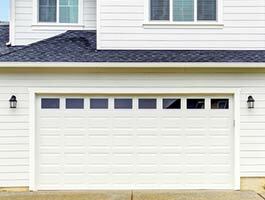 A garage door affects the way your home or business looks. Because doors can be very large, they can become a focal point of the front of your house or business. 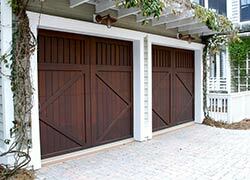 Many customers choose custom garage doors to get the desired look on their buildings. Exclusive Garage Door Service staff enjoys working with our clients to help them achieve the custom garage door of their dreams. Custom doors can be made in any size and of a variety of materials to match the design of your building. The right custom door is a reflection of your taste and style, and can make an incredible difference in the appearance of your property. The custom-made doors we will design for you aren’t just for looks, of course. We will make sure the mechanisms and parts are carefully chosen to make your custom door function at the highest level. Exclusive Garage Door Service employs a crew of artisan garage door specialists who specialize in making your garage door dreams come to life and take pride in transforming your home with a beautiful custom door. The possibilities are endless: you can choose materials ranging from wood to metal, including man-made and natural and organic materials. Depending on the look you are trying to achieve, our master craftsmen will help you make the best choices to achieve the look you desire, and our technicians will work to make everything works properly. Our approach is to make sure our customers, our craftsmen, and our technicians communicate with each other as the project moves forward to ensure your highest satisfaction. Our happy customers in Indianapolis, IN spread the word of mouth to their friends and relatives about our services. There are also a multitude of options for the door design, and we look forward to helping you with even the most creative custom garage door. We can create custom overhead garage doors, build unusual bifold or trifold garage doors or fashion custom barn-style garage doors. You might know exactly what you want when you first call us, or want ideas and suggestions from us. You may choose a classic swing door in a particular wood or go for something completely different. 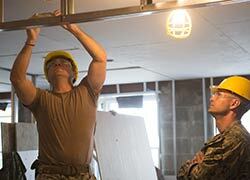 No matter what you finally decide upon, we can’t wait to get started on your custom garage door project. We will deliver a gorgeous, sturdy, safe custom-made door that blends beauty and function. Plus, every garage door we custom build is crafted to last a lifetime. Start by calling Exclusive Garage Door Service for a free consultation with our custom door design specialists. You won’t believe the difference the right door makes on your existing or new construction, and we’re excited to help you make it happen. Rely on us to make sure regular maintenance needs are met as well, to ensure the long life of your beautiful custom garage door.